'Another anonymous performance' - Loads of Leeds fans were fuming with this man's Bolton shocker | The Transfer Tavern | Where football transfer rumours fly or die! Leeds fans aren’t always the nicest bunch, and when they don’t believe that a player has a future with them they’re certainly not afraid to let that player know. This time around, it’s on-loan Chelsea man, Lewis Baker, who was substituted again yesterday against Bolton and looked absolytely shot when he was hooked after an awful display. 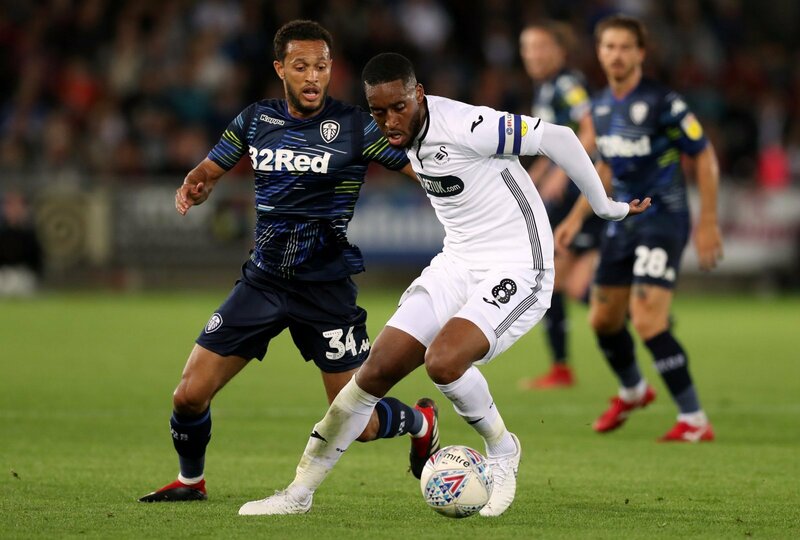 The 23-year-old midfielder was hooked by Marcelo Bielsa at half-time and it was only the Chelsea man’s 3rd time this season that he’s managed at least 45 minutes of action in the Championship, despite the fact he’s made ten appearnces for the Whites. In none of those 45 minute+ spells has the midfielder gone on to play the full 90, and if his loan was cancelled tomorrow there’d be little complaints from the fans. The frsutarting thing about Baker is that deep down there’s a quality player in there, but he was lethargic at best yesterday. His performances looked like that of someone who was only half-interested in the game and the way he knocked the ball around was riddled with laziness. Loads of fans were delighted to see the young Leeds-born Jack Clarke come on in his place and they’d much rather see the youngster feature from the start ahead of Baker next weekend. time on Baker. Another anonymous performance, sprinkled with bad errors, losing the ball in key areas. Looks nowhere near. At least it wasn’t just us that could see it. Send the lad back. Just can’t cut it at all. Delighted with how we’ve been so far but have to say our loan signings have been way off it! Here’s hoping when Izzy is fit he slots in well. The Whites have had enough of Lewis Baker and will be looking forward to seeing the back of him when he returns to Chelsea after his loan spell, which they all hope will be in January as opposed to the summer.